A food kiosk business in mall can offer fantastic business opportunities. More and more vendors choose to start mall kiosk business. 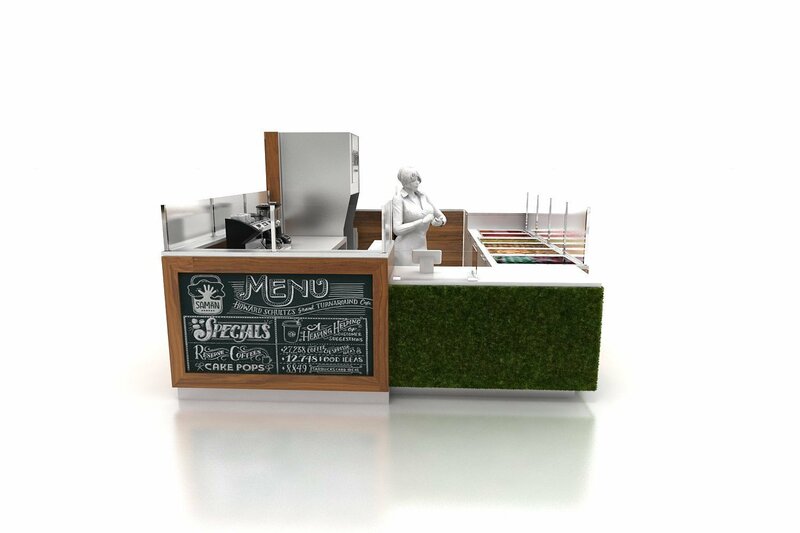 For starters, Whether you rent or buy a mall food concession business, you should start with a smaller, Such as a mobile vending cart or food carts then grow to a big step. When business is good you can start a permanent food kiosk. Whatever food & beverage business ideas you choose, make sure that your location is in a high-traffic area and has adequate space. Nowadays, fast food and snack food are a very hot and popular business to start, For example, ice cream, coffee, crepes rolls, and Waffles, etc. As for beverage concession. You can start a bubble tea kiosk or fresh juice bar. 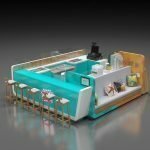 Here below is a unique food kiosk design for multi-propose usage. How much does food kiosk cost? What’s the best price to set up a food shop in mall? The material used for this food hut: Fire-resistant plywood, Solid cherry wood veneer, Solid stone surface. 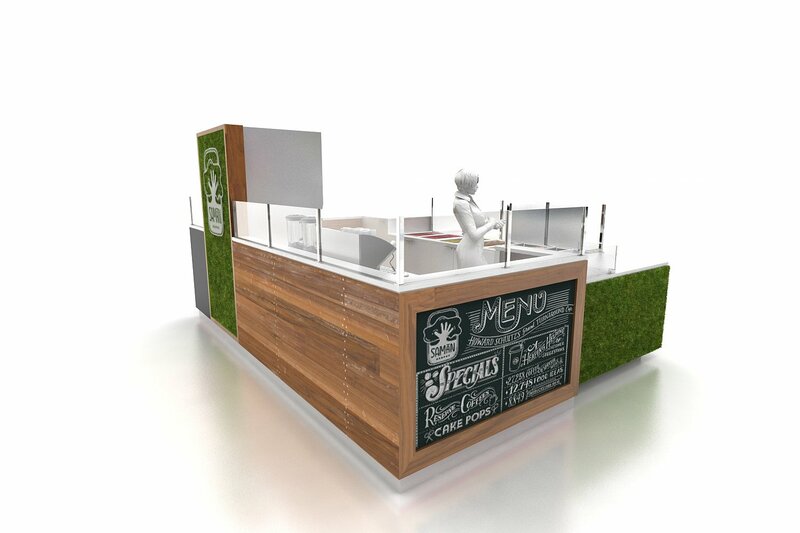 The Corner of the kiosk is decorated with fake grass which makes the kiosk in a fresh and natural style. 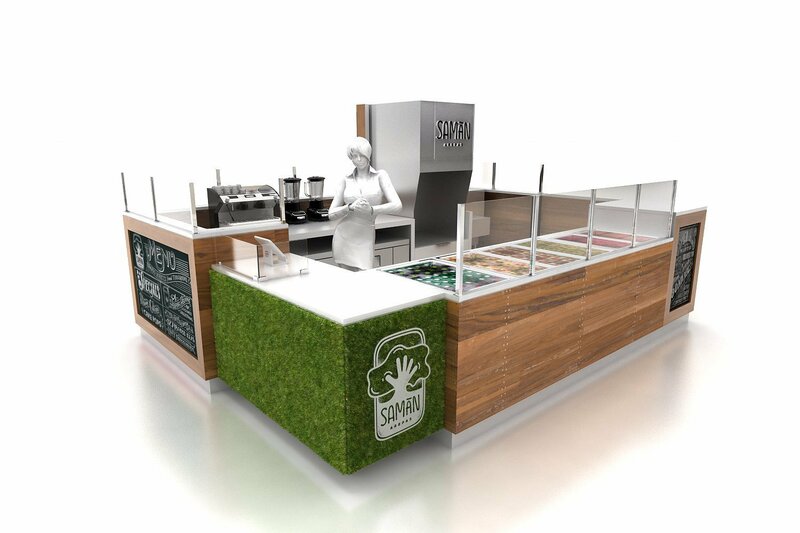 So, this kiosk can be used to sell natural food and beverage concessions. The wood stripe on the sides of the wall is just perfect to define a fresh idea. upscale tempered glass will divide the customer from touch the food. 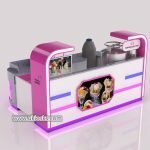 If you are looking for a unique design food kiosk in mall with the best price. Unique will be your best Choice. We custom design and build high-level food stall or food shop in mall with best standard materials. After 17 years of focus on mall kiosk manufacturing. We collected a large variety of mall business ideas. Check our site and find the best one suit for you.